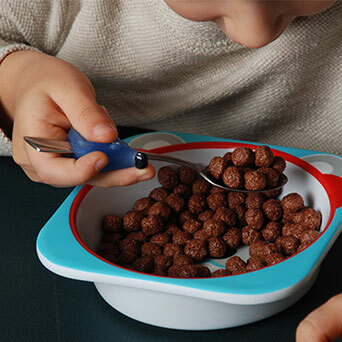 The Witty-Eating trainer protects your child’s fingers from being hurt by the spoon’s rough edges. It can be used on a teaspoon as well as on a small tablespoon. It’s a great way to learn! The trainer can be used for teaching a left-hander to hold a spoon in his right hand. Recommended for children aged 2-7.